Today my friend Amber of Dimples and Pigtales (now Averie Lane) is guest hosting! 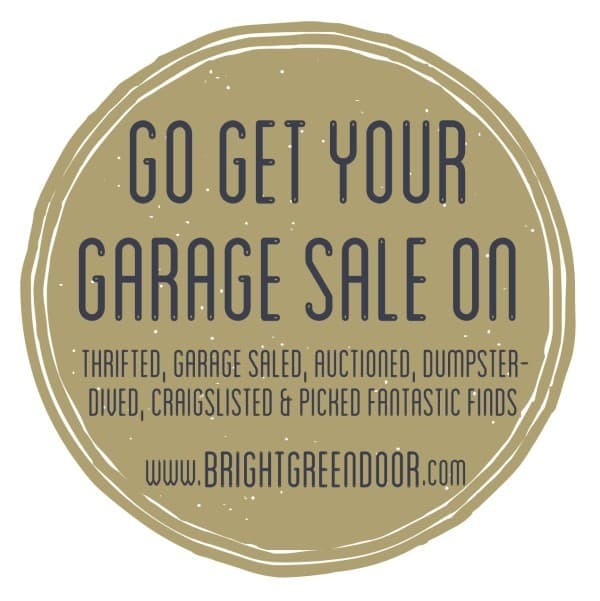 She is an AMAZING thrifter and has some wonderful tips on The 5 Do’s and Don’ts of Garage Saleing. I just want to start off by thanking Jess for letting me co-host this party with her! Aren’t her finds amazing!! (I’m totally jealous and want to go yard sale-ing with her!) 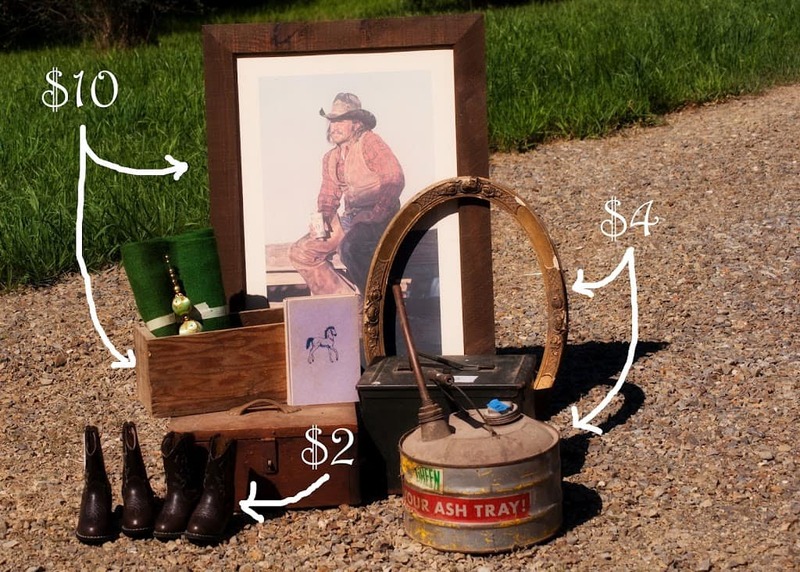 When I first started my blog over a year ago, it was all about my yard sale finds, it has grown into much more than that, but yard sales are still a huge part of our weekend and how we decorate a lot of our home. My husband and I love to grab our coffee, load up the kids and drive all around seeing what we can find! 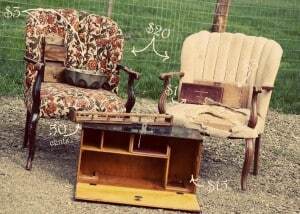 We just hosted a super successful sale over the weekend in preparation for a big move and I gained a new perspective on yard sales. I thought I would share them here with you today! 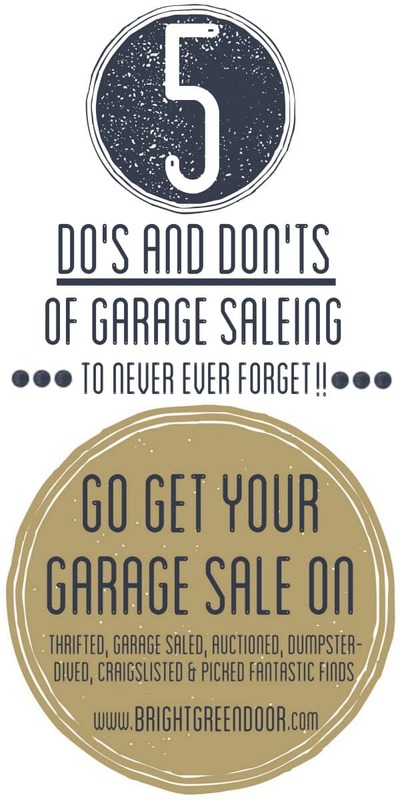 Here are my “5 Do’s and Don’ts of Garage Saleing. DO ask about specific items. I have learned to ask if the seller has what I’m looking for! Several of our big sales over the weekend were things I hadn’t even put in the sale. I would ask people if they were looking for anything specific and if I had it( and was willing to sell it) I worked a deal. This obviously won’t always work, but it never hurts to ask. I also make a habit of asking if they will be putting out new stuff the next day. DO take what you don’t want to get what you do (if the price is right). We found an amazing set of chairs and dining set for $40 dollars. I didn’t want the table because I knew it was too big for our house, but at that price the chairs were a steal. So I took the table anyways, put a couple hours worth of work into it and turned around and sold it at our sale fore $40! That pretty much made my chairs free! DON’T haggle the seller to death. Negotiating is great, but don’t nickle and dime every little thing. For one, this is annoying and two, it will not give you as much leverage if you do see something you really want. I can tell you that I was far less willing to work a deal with people when they asked to pay a fraction of what I had something listed for. If an item is listed at $20, don’t offer $3…if you do really like something but its not in your budget try starting out by saying,”I don’t want to insult you, but would you take $$ for such and such?” It at least shows that you know you are low balling it. DON’T agonize over a purchase under $5. I can’t stand this. 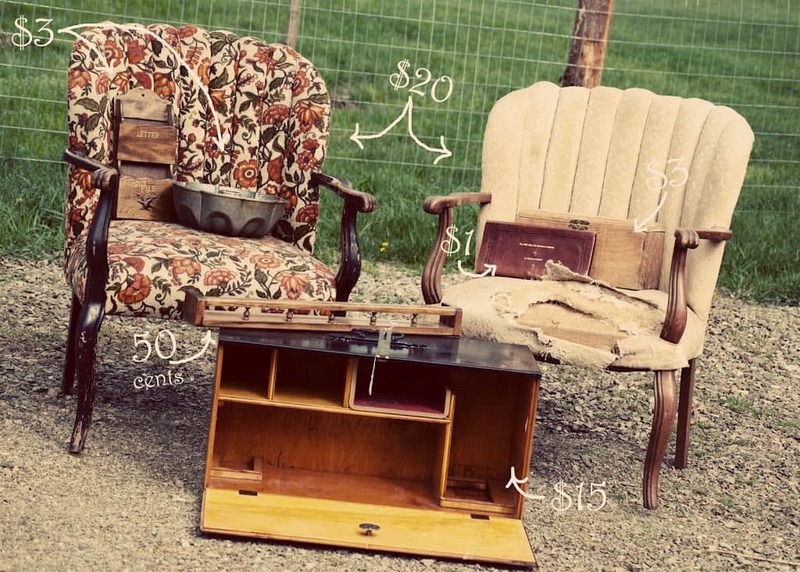 One lady was interested in a sewing machine table with its sewing machine, I went from $10 to $5 on the set because we I didn’t know if it worked and she still couldn’t make up her mind. She ended up calling later to come test a cord on the machine and when it didn’t fit she wanted to go borrow someone else’s cord to try again. At this point I had to tell her to either buy it or pass and even then she still wouldn’t just make a decision. I would totally understand if this was a large purchase like a TV or a power tool that you were paying more money for, but $5!? Especially since the sewing machine was basically free. She ended up buying it, but I found it very disrespectful of our personal time. DON’T hesitate! If you see something you really want grab it while you can. Odds are it will not be there if you try and come back for it. 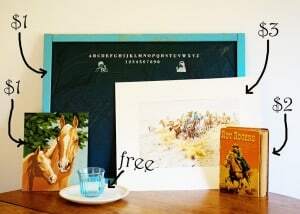 Sometimes a seller is willing to hold an item, but this rarely happens so be prepared. I have done this before too and missed out on some great pieces because I didn’t jump on them when I could. I also have bought things quickly and had them not work out, but I most likely I’m able to turn around and sell them for at least what I paid. DON’T be afraid to leave town for sales! Some of my best finds are from neighboring towns and cities! Sometimes we purposely head towards a specific area, other times we just drive until we see a sign. Either way we get to do a little exploring and always end up having fun! I hope these tips encourage you to get out and hit some sales! It can be a lot of fun! Isn’t Amber great? I love how she’s decorated her home with mostly thrifted finds! If you want to keep up with all of her finds and projects head over to her blog here!